Welcome to Wednesday and on Wednesday's we wear pink....especially when it's 2 days away from Valentines Day! Hope you all have your gifts and dates planned by now. I'm mostly concerned with what I'm going to do with my nails. (#FirstWorldProblems) Anywho, today I have my second Valentine's mani for you all. VOILA!!! It's really easy and considering it's abstract art there's really no wrong way to do it! 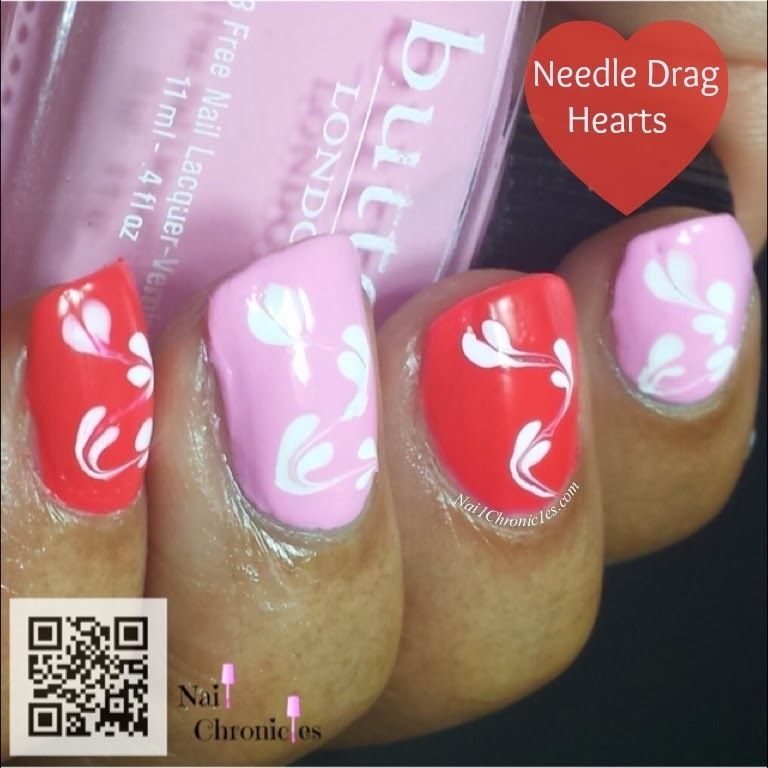 I used Zoya Renee and Butter London Fruit Machine as my pink bases and Zoya Purity for the hearts.